Hi there! Tya here to show you today a fun and festive home decor item that will add that perfect "spooky" touch to your home! I just love Halloween! 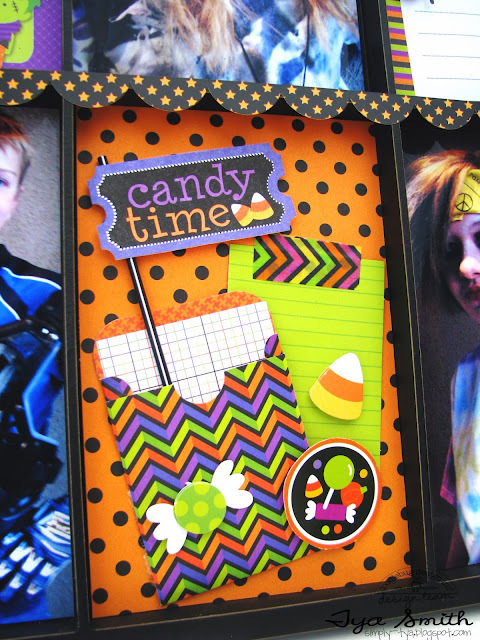 I love all the colors (black is my favorite color), the candy and of course the costumes. 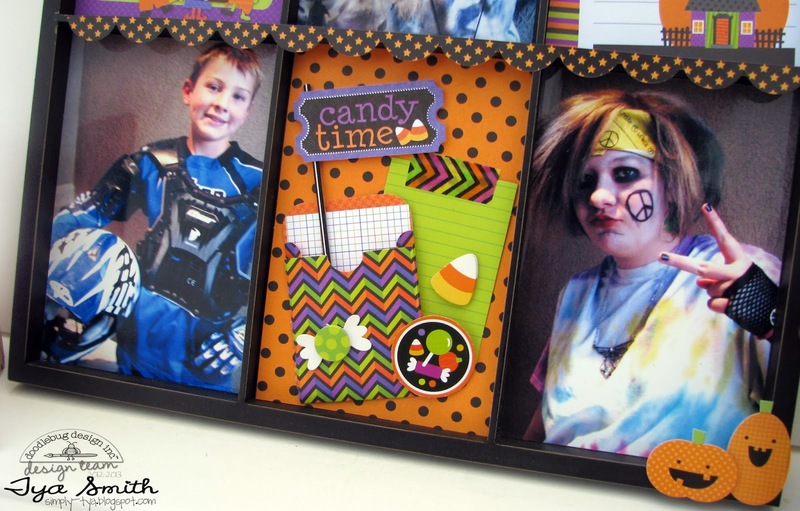 I love adding pictures of my kiddos to my home decor and photo trays are some of my favorite home decor items. So today I thought I'd share with you my "Halloween Parade" photo tray. My Photo Tray has 6 spaces that fit a 4x6 photo perfectly. 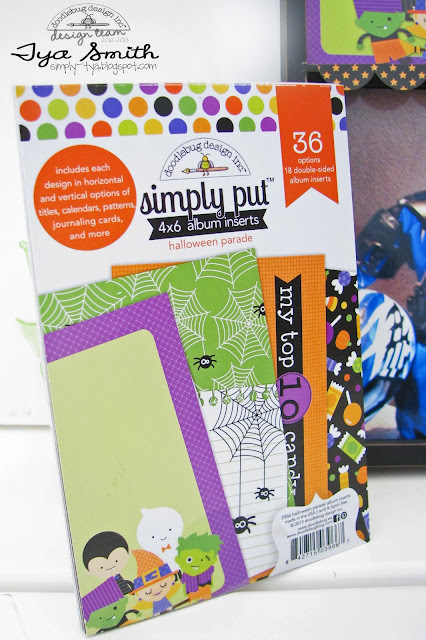 This size of space is PERFECT for the darling cards that come in the Simply Put 4x6 Album Inserts pack. I love these packs and as you can see, they are not just for your scrapbook albums! They were so easy to just place in the spaces and decorate with all sorts of matching embellishments and stickers. 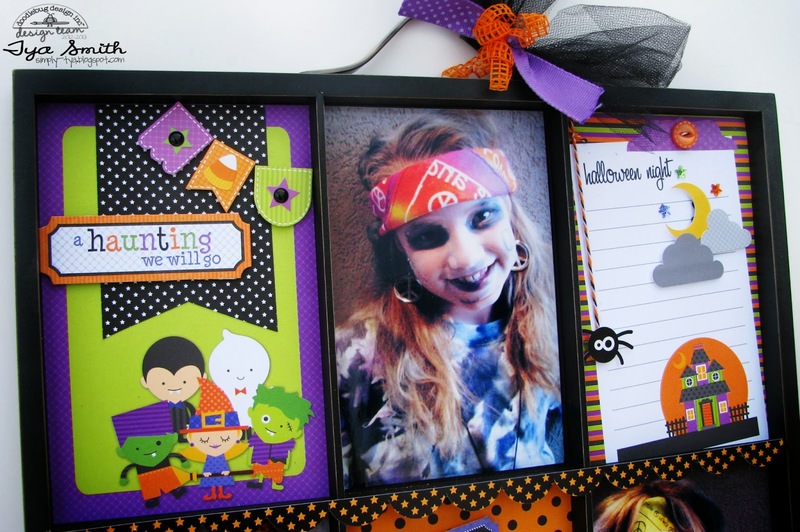 Add some matching ribbon, your photos and you have a wonderful personalized home decor item that your family will be able to enjoy the whole season! 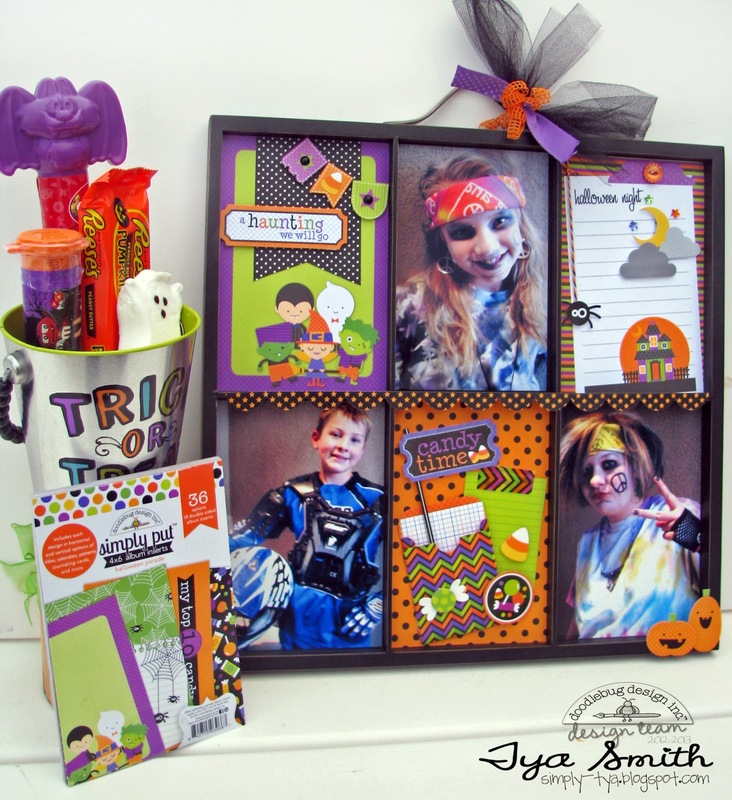 Thanks for stopping by the blog today and hop on your broomsticks and grab some Halloween Parade goodies of your own! This projects is so fun, love it! Absolutely adorable! 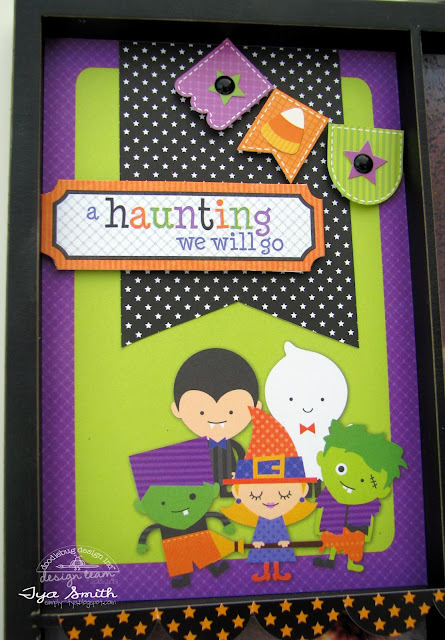 Love the precut cards all ready to embellish with goodies. Love it! 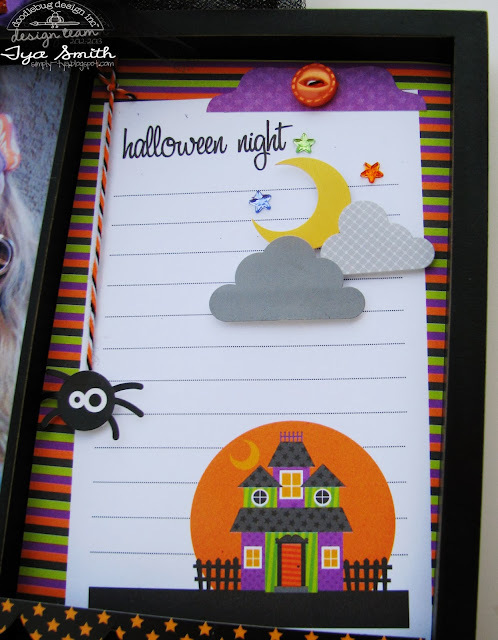 Do you know where I can purchase (store or online) this Halloween parade album insert? I live near an Archiver's, but they don't carry them. Thanks so much!